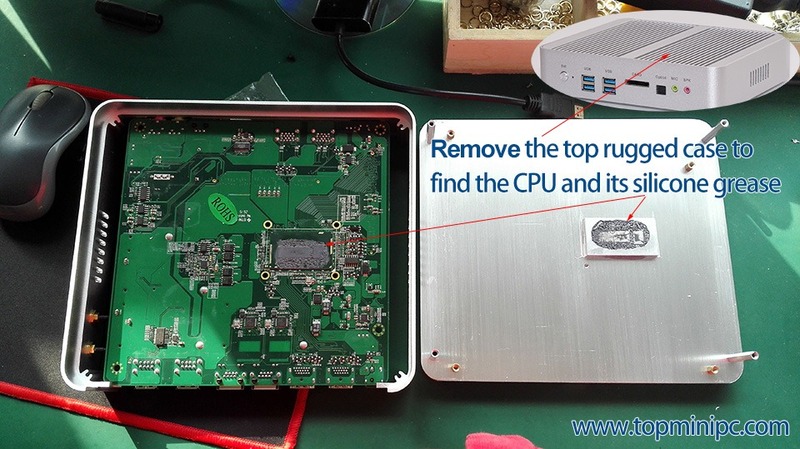 Some users find their computer don’t turn on after using some time, problem shows like below picture, the led indicator turns off after press the SW and screen shows nothing. This problem mostly caused by the heat-conducting silicone grease under CPU. Pls find solution in below guide. 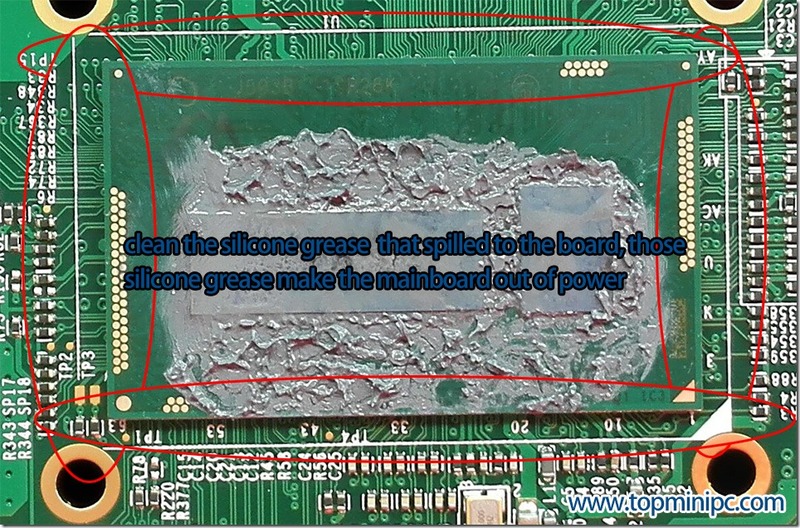 When the silicone grease goes to motherboard and cover some components on mainboard, it will make the mainboard circuit get blocked and unable to turn on, after clean the silicone grease will be fine. 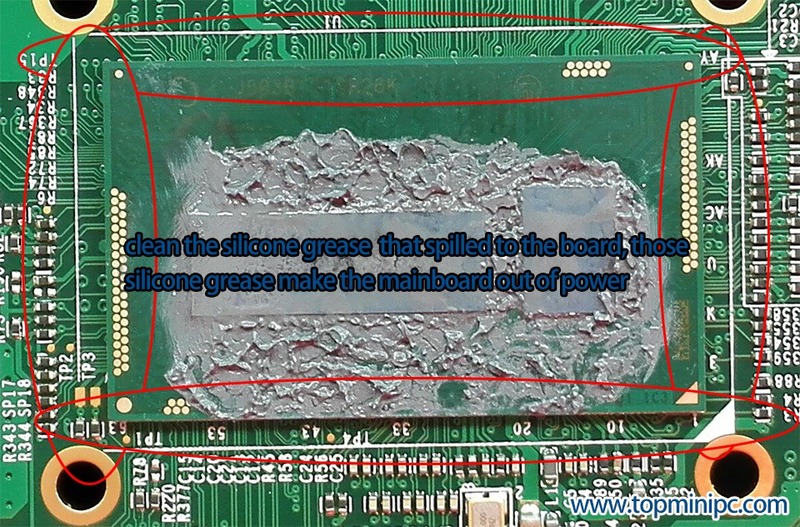 But do not clean all the silicone grease, only the ones spilled out of CPU area.